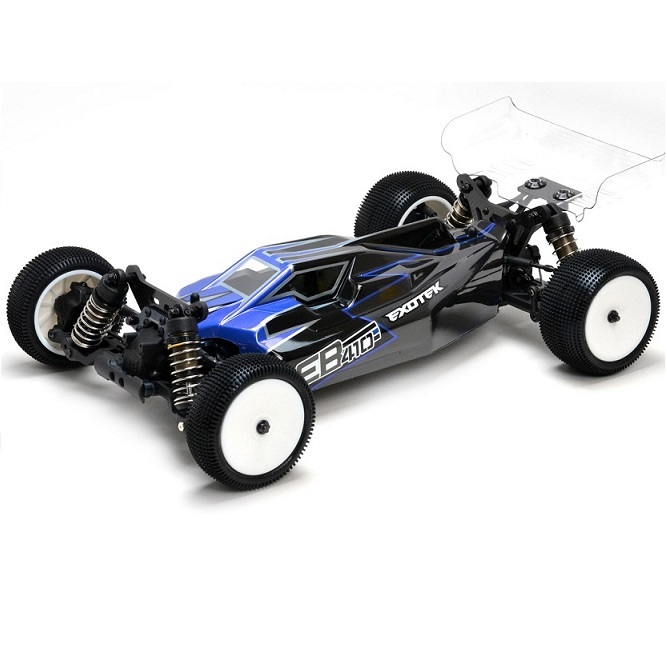 Give your EB410 the winning 'EDGE' with our new lightweight low profile race body! Crafted to greatly lower the looks and cg over the stock body the EDGE body sits 8mm lower than the stock body. We have also taken great care to still allow the mounting of the fan above the motor and still allow normal height or low profile servo use. Clean lines are used throughout for a clean 'aero' downforce package yet allows easy custom painting thanks to the smooth and rounded corners. The Edge body weighs in at a svelte 27gr unpainted vs the 37gr stock unpainted body. Bodyshell comes clear, painted body shown for illistration purposes only.